Memoir writing tells true stories and the best of these are told from the heart with honesty and passion. Write as if no one will ever read it, that way your write with pure, unadulterated emotion from the heart. Don’t worry about rankings, life is too short. Write because you love it, not because you have to. I originally thought only friends and family would be interested in reading about our experiences, which is why I self published. However, it has been an amazing experience to have other people read my story, email me and offer advice and support. It is quite a surreal experience. It is still amazing to think that total strangers become fans when you write about your life and experiences. Having said that my new found fans are not only supportive by buying the book and sharing the experience, but many empathize with our story and can relate to it. Author Sarah Jane Butfield was born in Ipswich, and raised in rural Suffolk, England. Fulfilling her childhood dream and becoming a nurse, was just the start of her amazing journey. Her nursing and teaching qualifications would take her around the world, enabling her to work in all fields of nursing, education and management. However, after 27 years as nurse, wife and mother of four children and three step-children, Sarah Jane has now achieved another long held ambition,that of becoming a published author. 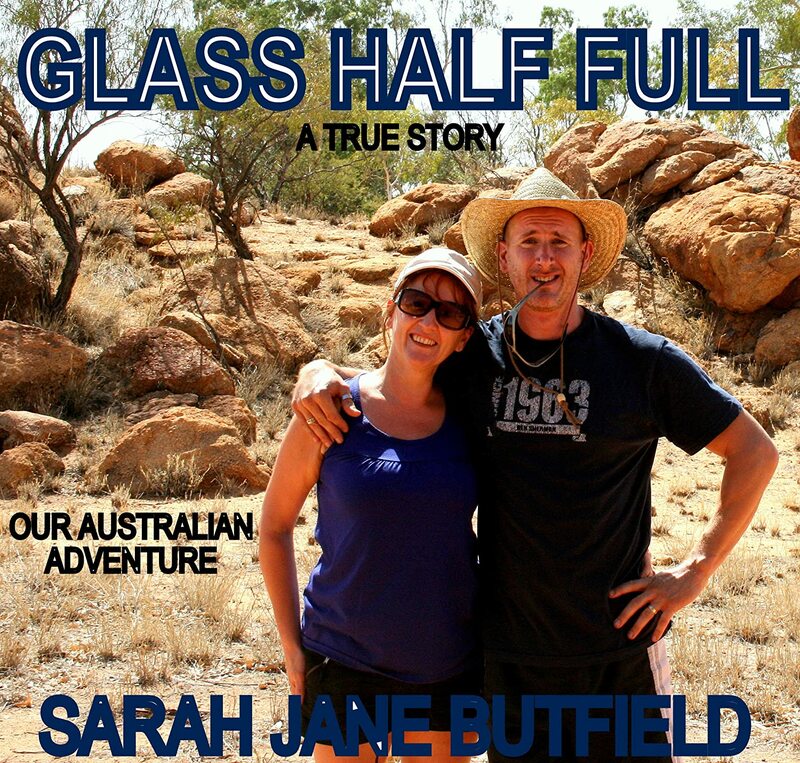 Glass Half Full: Our Australian adventure is her debut travel memoir, but she is also a published freelance magazine journalist and blogger, in the healthcare and writing arenas. The sequel, Two dogs and a suitcase: Clueless in Charente, will be published in 2014. In addition to her non fiction books, she is currently working on a series of self help books for people facing challenging life events and tough family situations, based on her real life experience of divorce, bereavement, child custody issues, migration, parenting, etc.